When it comes to choosing presents for people I'm always on the look out for something that little bit different. 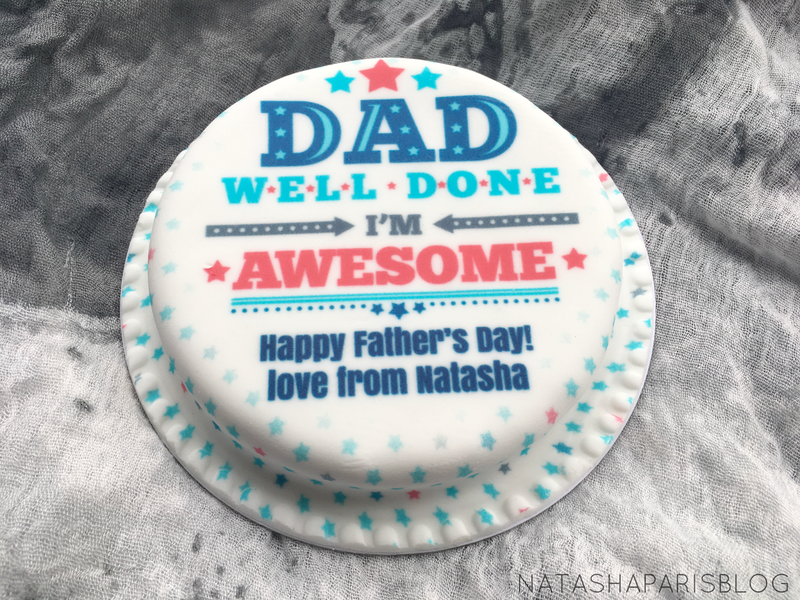 With Father's Day not too far away I've been looking for the perfect gift for my Dad, so when the lovely people at bakerdays offered me the chance to try one of their letterbox gift cakes I jumped at the chance. 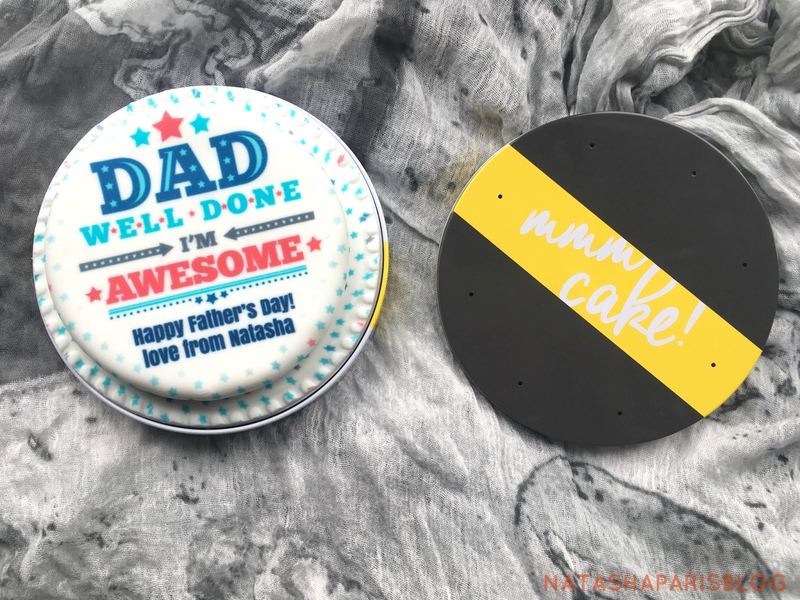 Who wouldn't want to have cake delivered straight to their door?! The cake came packaged in a gift tin, which helped to ensure the cake reached me in tip top condition. bakerdays claim that the tin will help the cake stay fresh for up to 14 days which is pretty impressive! However, cake never lasts that long in my household. The letterbox cakes are quite small in size, as a guide bakerdays advise that they should provide 3-4 servings. However, they do have a range of party cakes in other sizes if you're looking for something that little bit bigger. 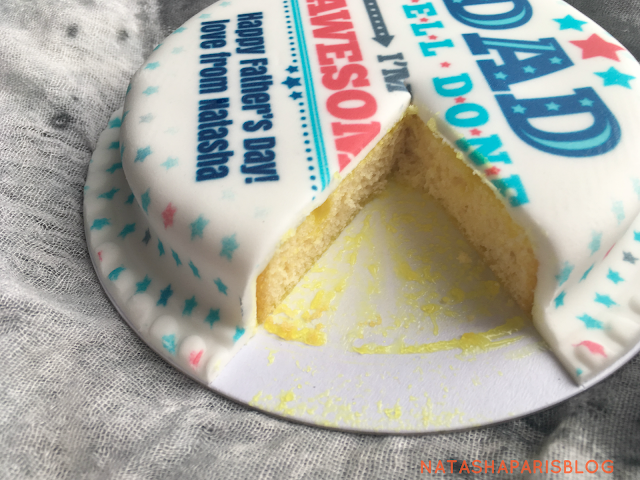 I was very impressed with how fresh the cake was! It was very moist (*shudder* I hate that word but can't think of a better way of putting it) and lemony. The icing covering the cake was surprisingly soft and we didn't find it to be sickly sweet like is so often the case with other iced cakes. Overall the cake was a hit with my whole family .. and my Dad thought it was a really nice gift idea *top Daughter points to me*. Will you be trying a bakerdays letterbox cake?